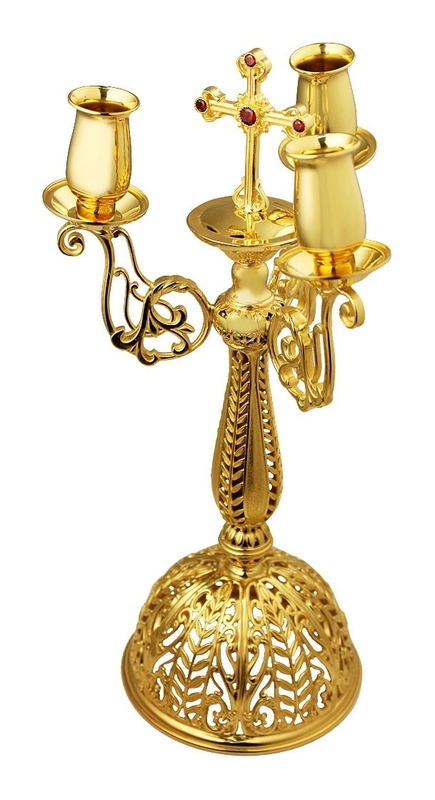 The soft glow and radiance of candles adds much to the ambience of any Orthodox Christian church service, especially an important one such as the Divine Liturgy. 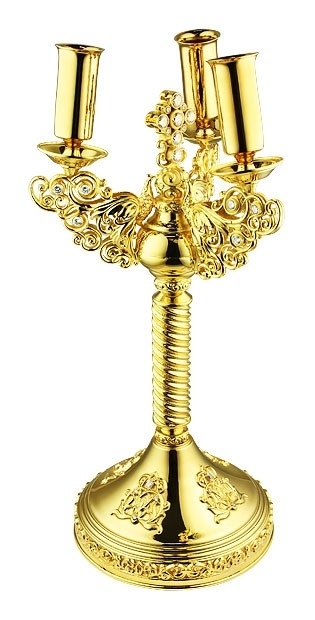 Keep alive the sacred traditions of this hierarchical service by ordering one of Istok Church Supplies’ ornate dikirion and trikirion supplies. 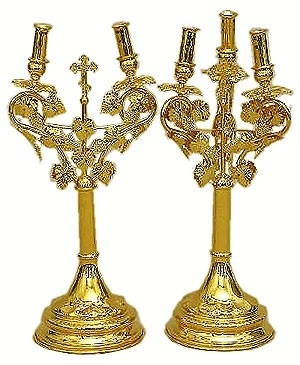 In Orthodox Christian tradition, dikirion and trikirion are the two candle stands that hold the candles. A dikirion holds two candles whereas the trikirion holds three. They are also sometimes referred to as dikiriy and trikiriys. 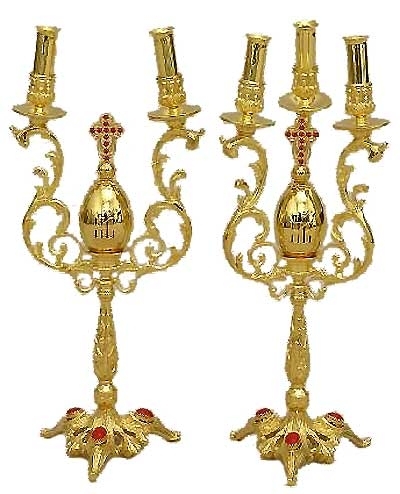 These liturgical candlesticks are used by a Bishop when giving blessing to a congregation during the Divine Liturgy. Everything found in an Orthodox Christian Church has special significance that has to do with faith. 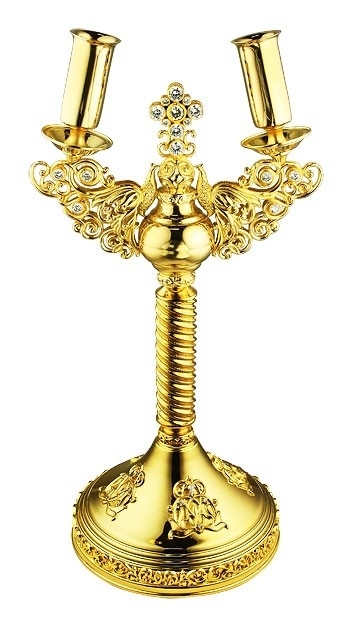 Dikirion stands for the dual nature of Christ whereas trikirion symbolizes the Holy Trinity. 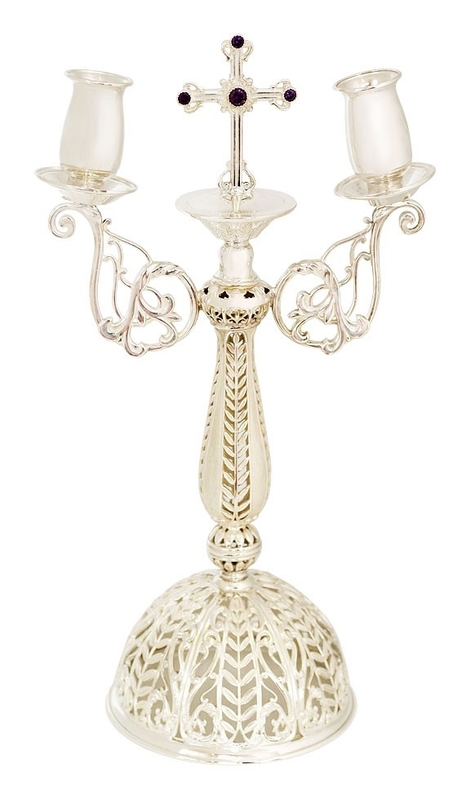 Both these candle stands consist of a richly decorated flat base that is connected to the actual candle holder via a vertical shaft. 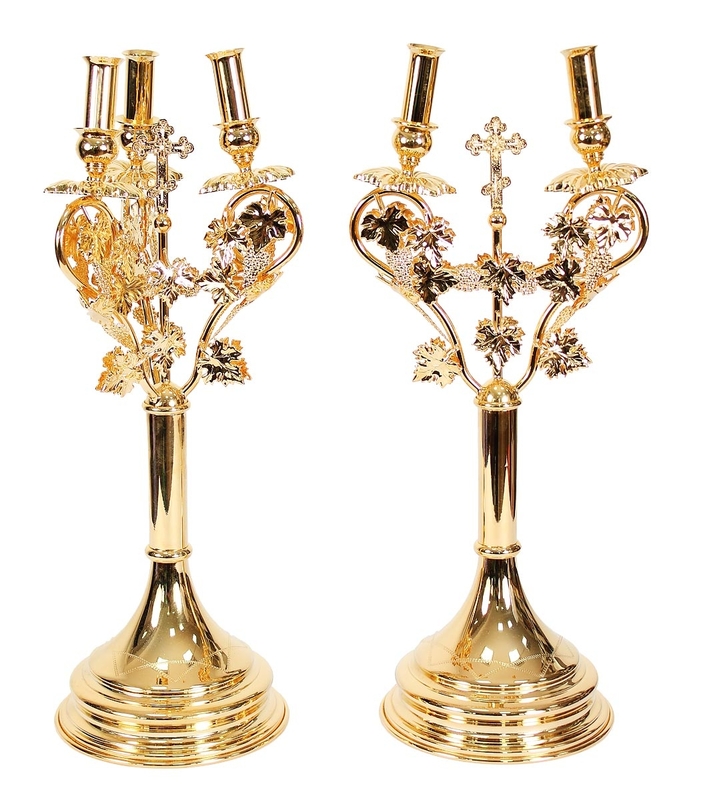 We have tried to ensure that dikirion and trikirion supplies we offer continue the timeless and ethereal beauty of liturgical candle stands of bygone eras. Customers can purchase dikiriy and trikiriy sets in a wide variety of artistically crafted designs. 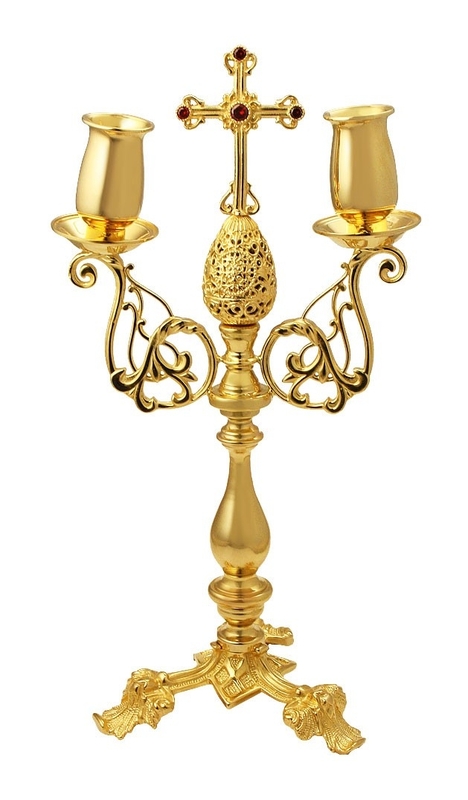 Made of fine quality brass and featuring gold gilding, they are polished to a high degree in order to provide a magnificent sheen. Some of them feature attractive enamel work for added beauty. 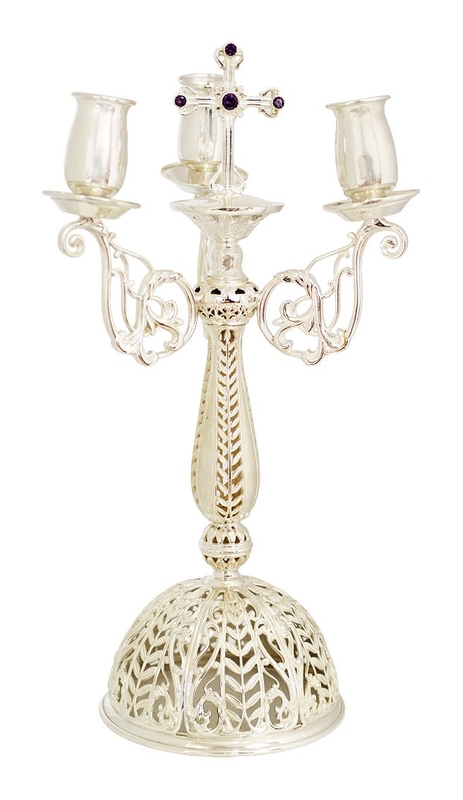 All the sets we offer are made at our premises in Europe by master craftsmen who take pride in their skills. 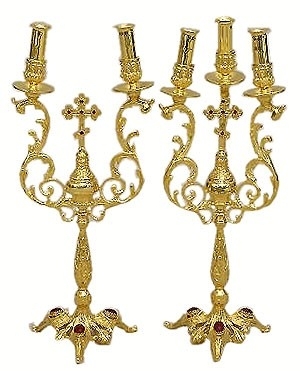 They are definitely worthy accessories for any significant liturgical service that is conducted by a highly placed official of the Orthodox Christian faith. 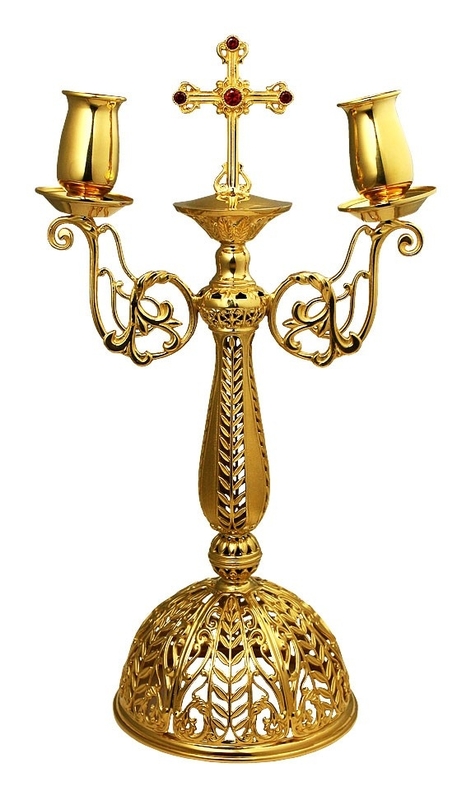 Illuminate your church in a graceful manner, bless your congregation and discharge your sacred duties in accordance with the canons of the Orthodox Christian faith. Turn your church into a sanctuary of warmth and faith with one of our splendid dikirion and trikirion supplies.